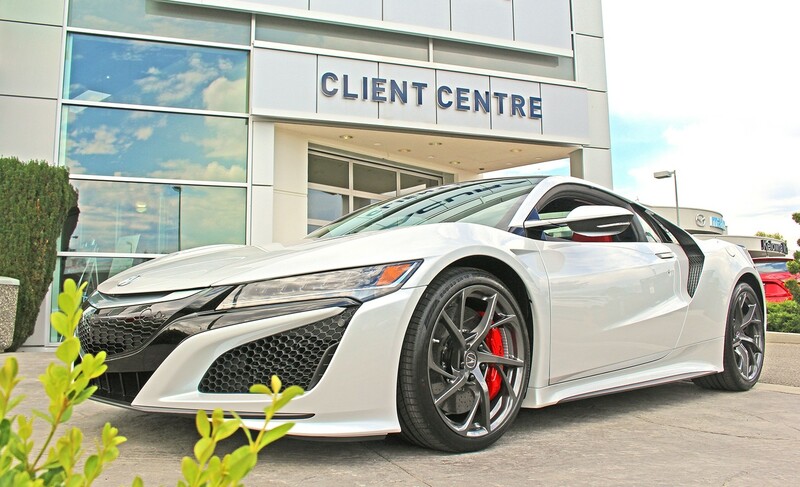 This rare NSX (pictured on this page) is in the Harmony Acura Showroom and AVAILABLE FOR SALE today! 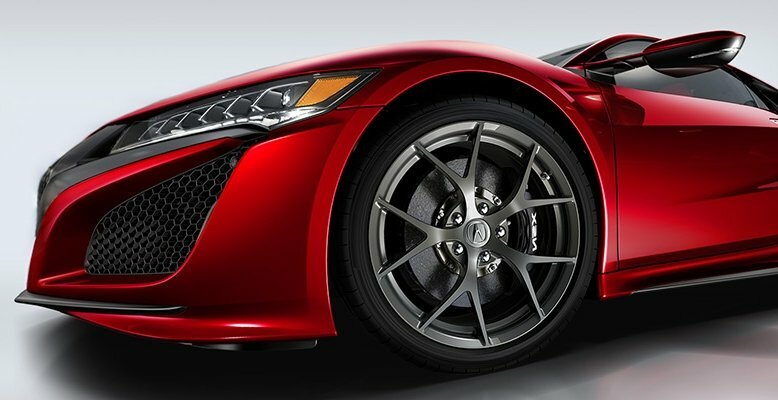 With tens of thousands of possible configurations, the NSX is truly tailored to each driver. 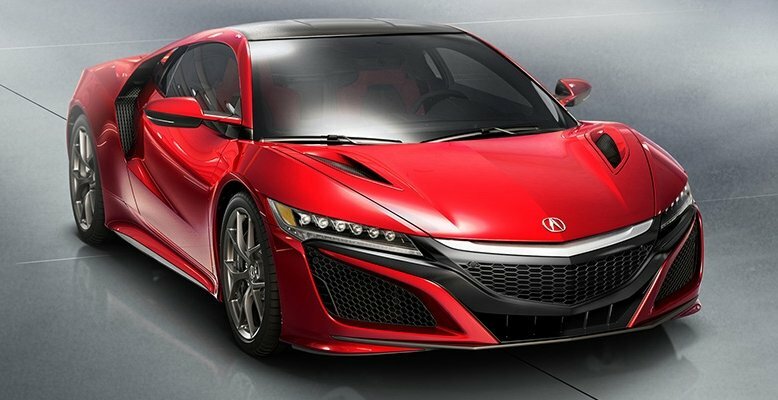 The next generation NSX defies conventional ideas about supercars, just as the original NSX did twenty-five years earlier. 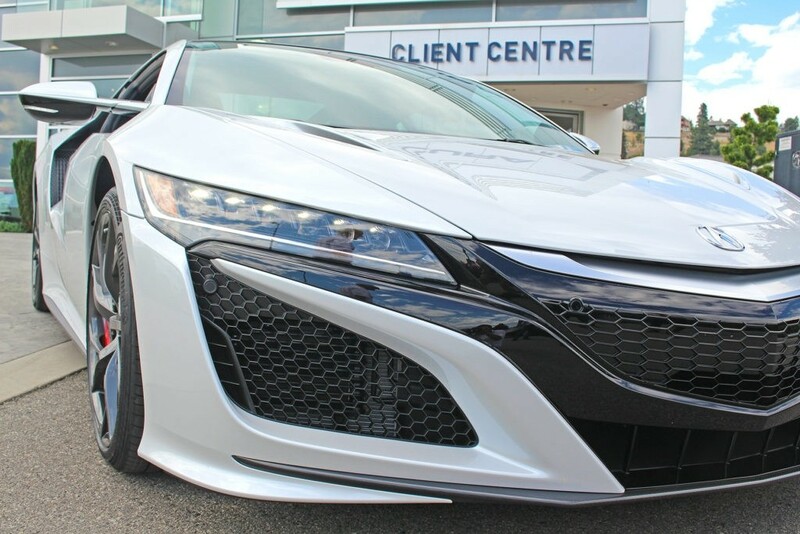 With an all-new sports hybrid power unit delivering more than 550 total horsepower and impulse-quick handling response, the NSX heralds a new era of human-centred automotive performance. 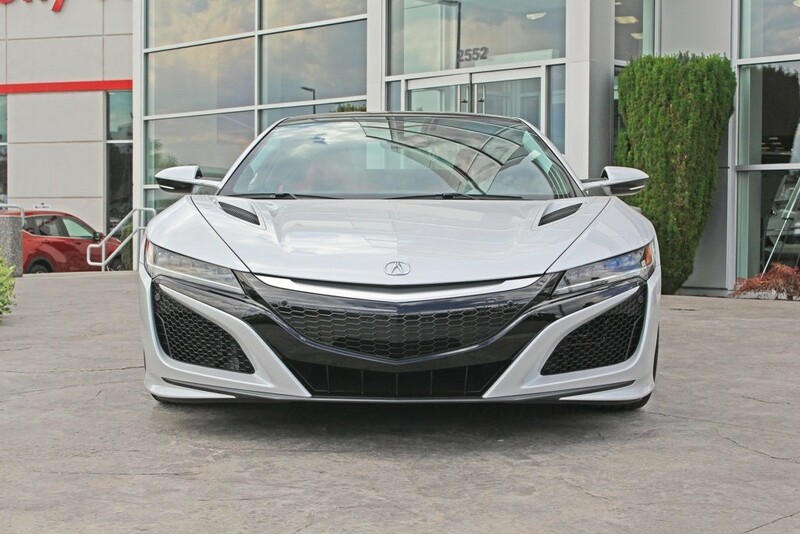 Form and function flow together seamlessly in the NSX. 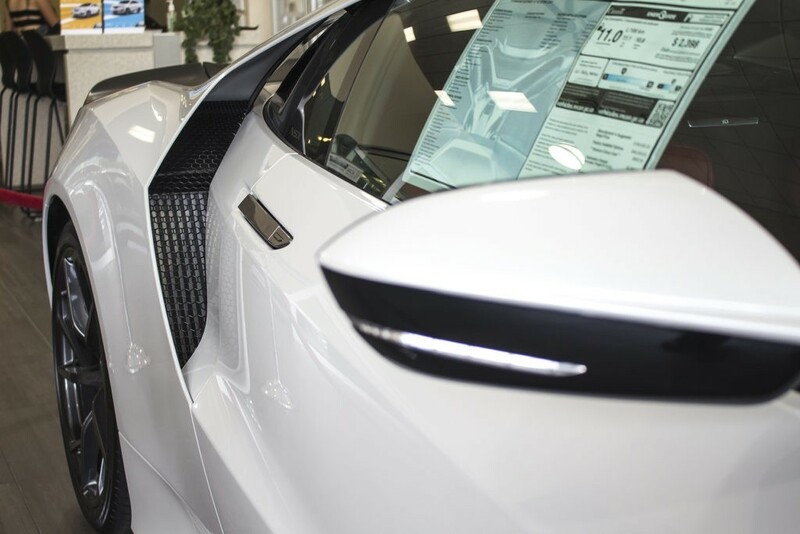 Every element of the exterior body design has been carefully fashioned to utilize airflow, helping to optimize both stability-enhancing downforce and vehicle systems cooling. 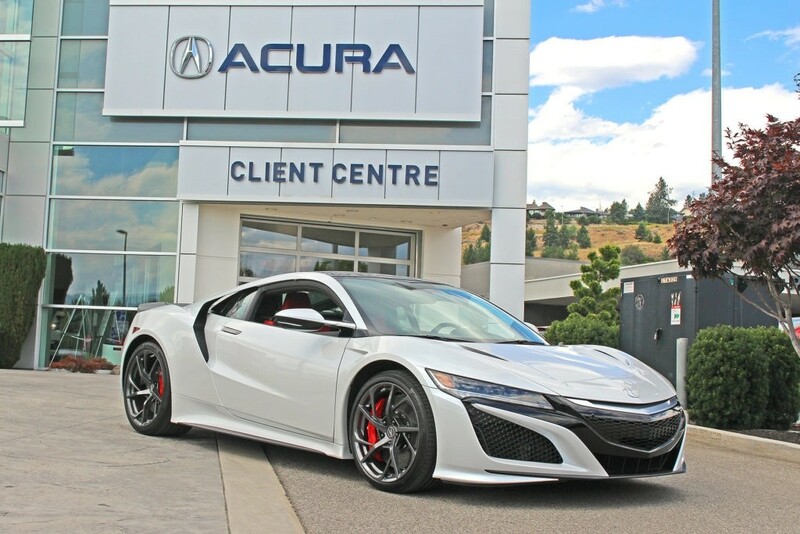 The apex achievement of Acura’s human-centred development philosophy, the NSX is moulded around the driver. 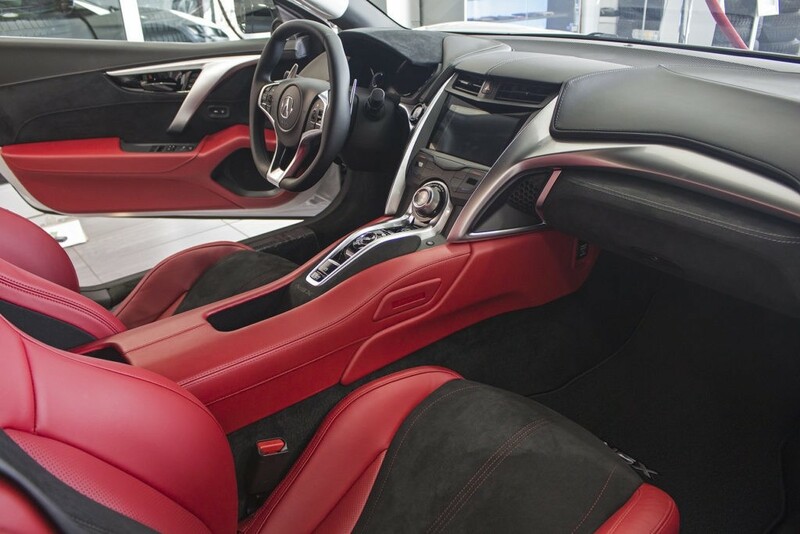 Its interior ‘Human Support Cockpit’ boasts exceptional driver control, forward visibility and unrivalled ergonomics. 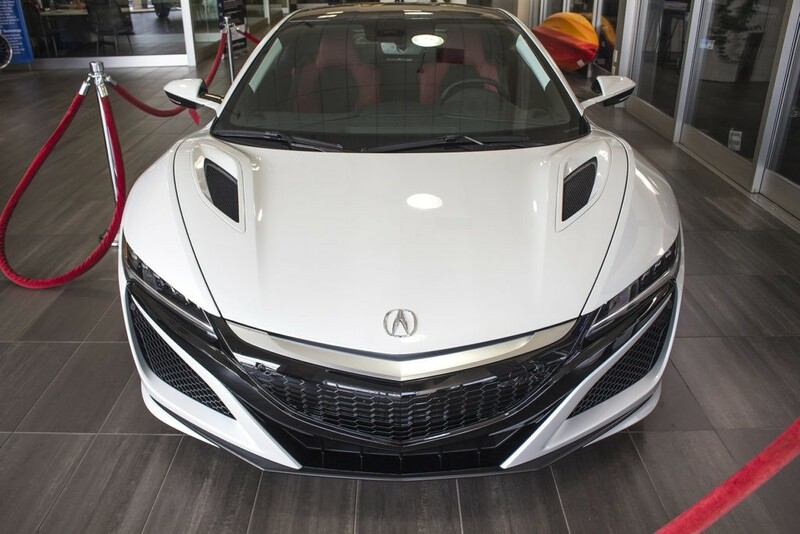 The NSX empowers the driver with ‘zero delay’ launch performance, at the heart of which is the all-new mid-mounted, DOHC V6 engine with twin turbochargers married to an Acura-developed 9-speed DCT. 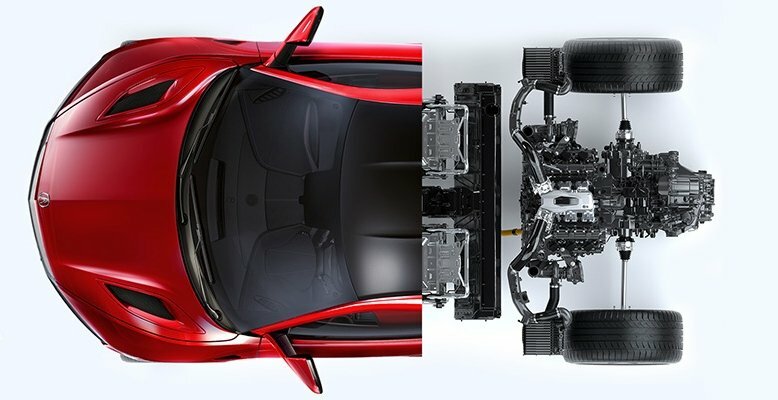 The rear direct-drive electric motor supports acceleration, braking and transmission shifting performance, while front wheels are driven by twin independent high-output electric motors. 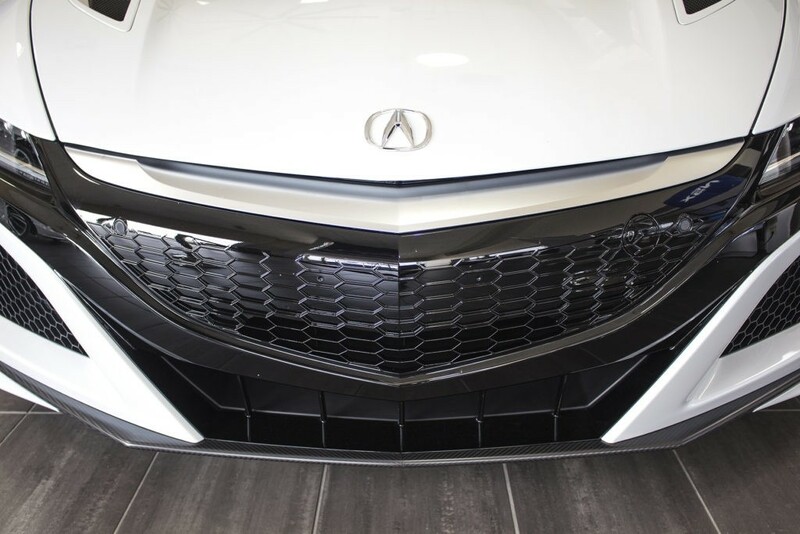 In keeping with the legacy of the original NSX – the world’s first all-aluminum supercar – the new NSX features an innovative new multi-material body design that combines various advanced materials for an ultra-rigid frame and significant weight reduction. 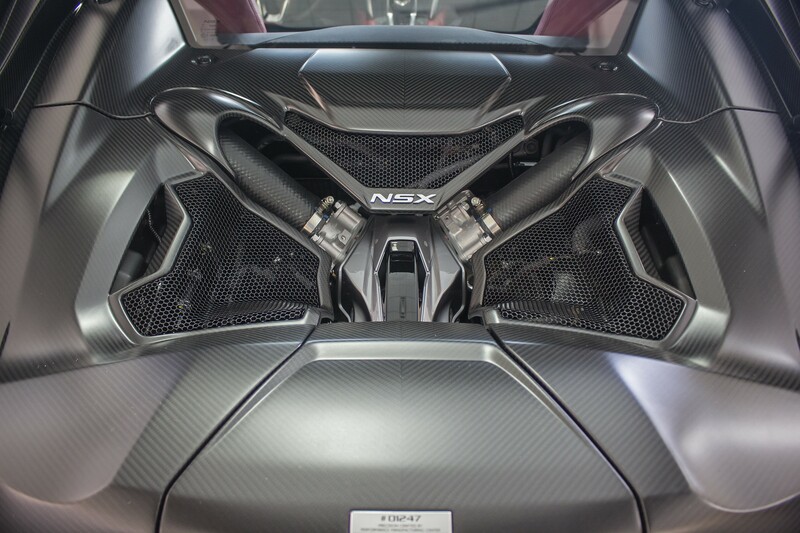 As part of the NSX’s Advanced Sports Package, placement of key powertrain components is optimized to concentrate vehicle mass low and toward the centre. 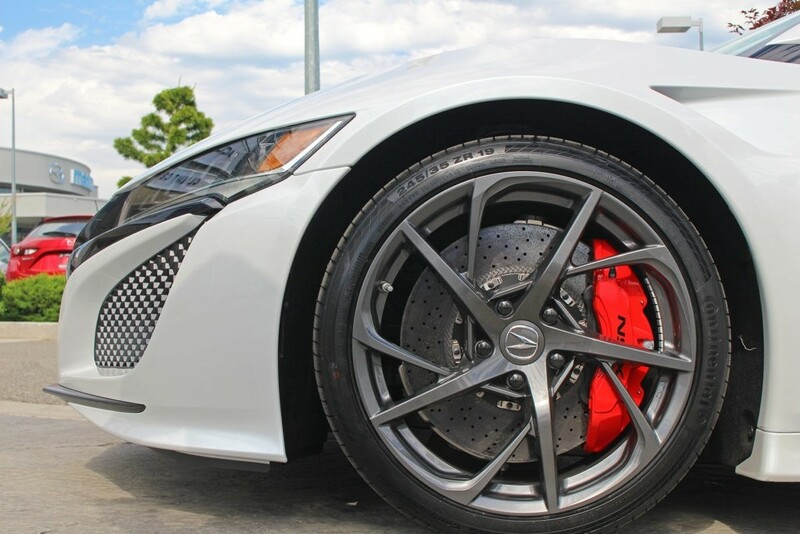 Dynamic performance is further enhanced by Sport Hybrid Super-Handling All Wheel Drive (Sport Hybrid SH-AWD), all-aluminum front and rear suspension, and ultra-high performance carbon-ceramic brake discs. 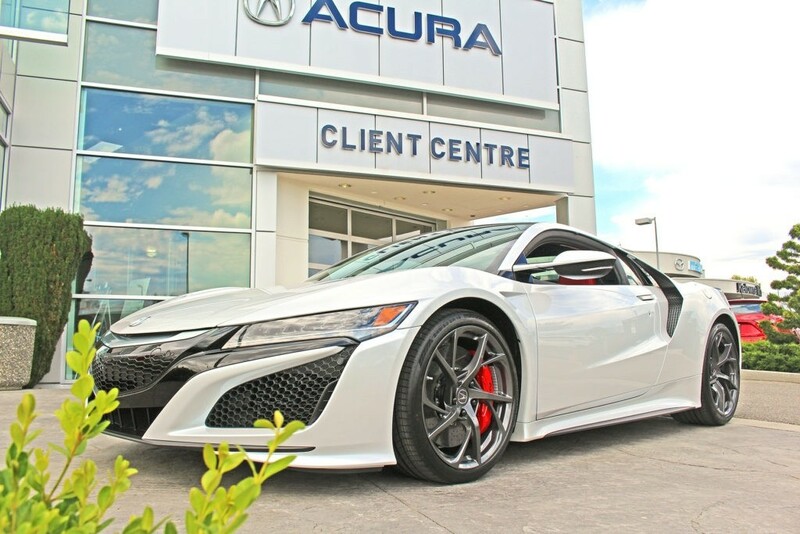 The NSX’s Integrated Dynamic System features Quiet, Sport, Sport+ and Track modes that adjust engine, motor, transmission and chassis response, as well as the engine sound level. 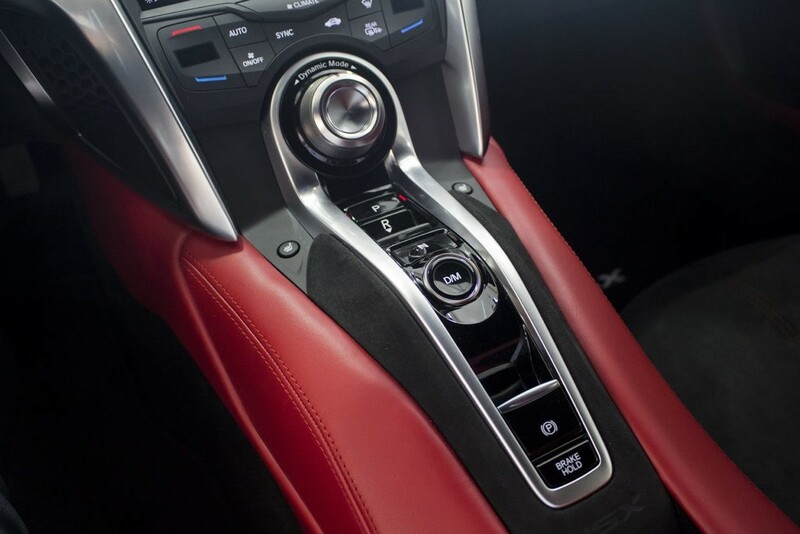 Track mode unleashes the full spectrum of the NSX’s performance capabilities. 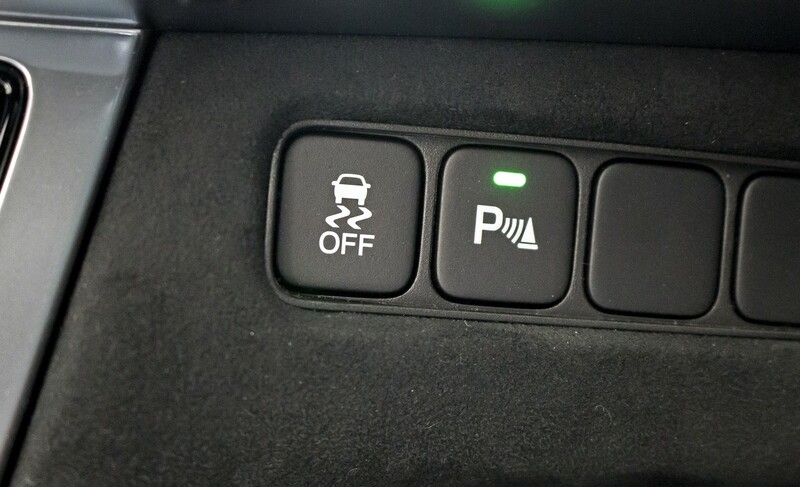 In addition, a ‘launch’ function enables the ultimate in ‘zero delay’ launch performance, aided by both the engine and three electric motors. 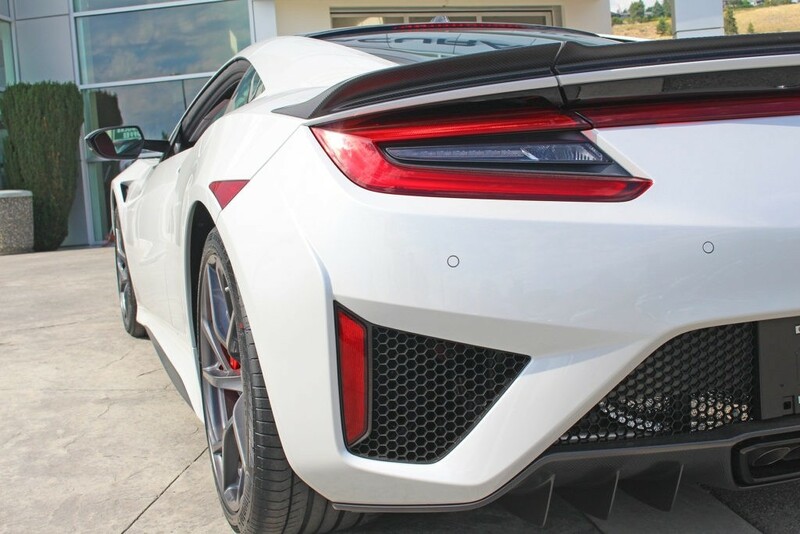 All things considered, the new 2017 Acura NSX looks as intense as one supercar can get. 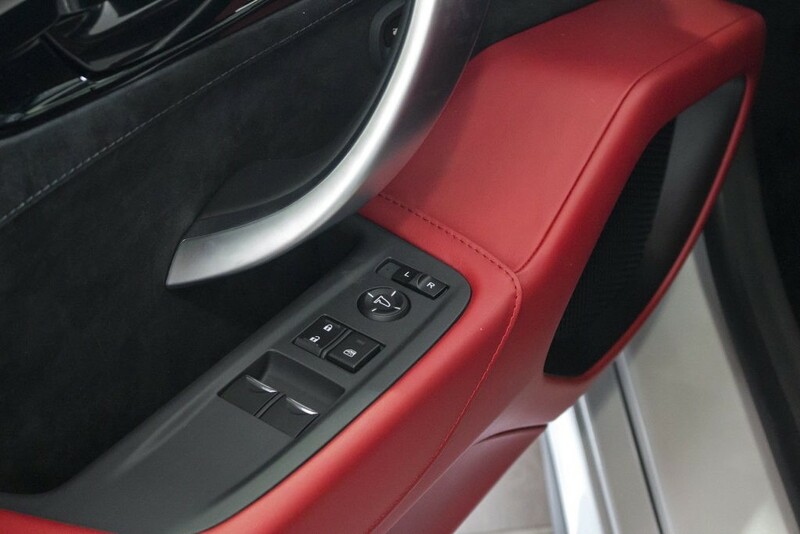 Sharp edges, substantial side air consumption openings with honeycomb defensive cover. 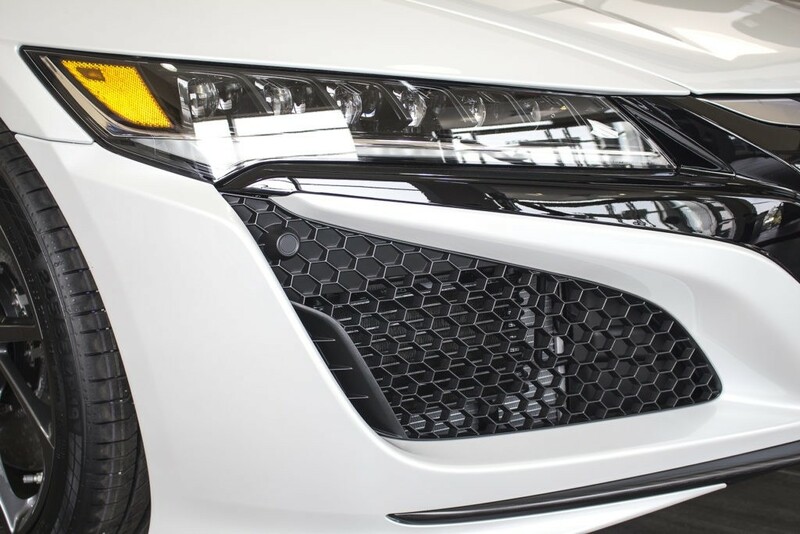 Particularly beautifully dangerously sharp sword molded LED-based headlights to give this auto an exceptional look. 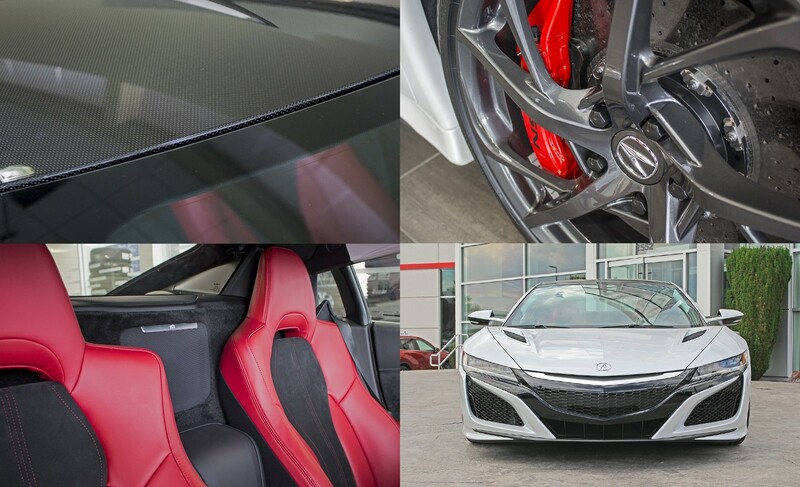 Come into Harmony Acura and explore all the posh offerings found in the 2017 Acura NSX. 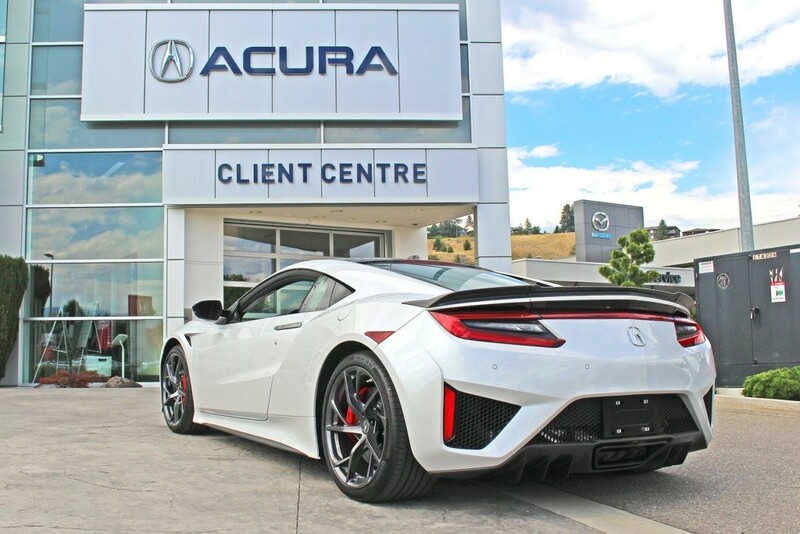 Stay tuned to take a test drive in the luxurious 2017 Acura NSX. 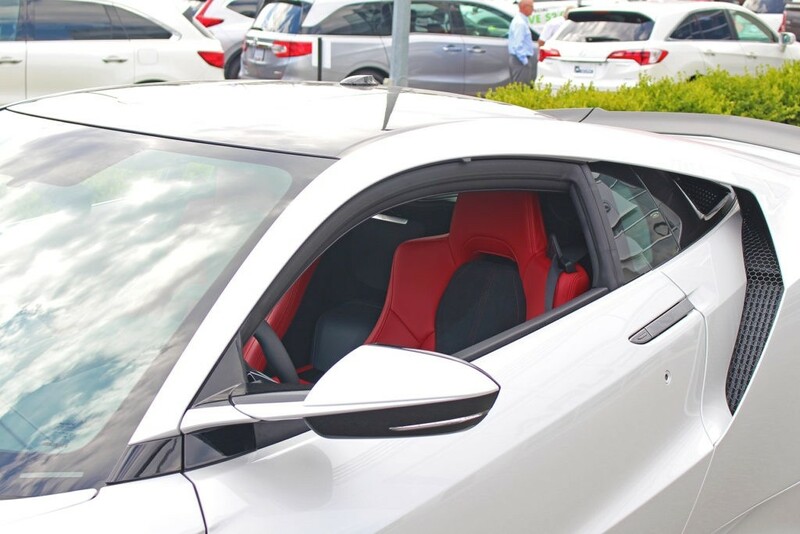 Our world-class dealership is located on 2552 Enterprise Way in Kelowna, just 14 minutes from West Kelowna via Okanagan Highway/BC-97 North and just 55 minutes from Penticton via Okanagan Highway and BC-97 North. 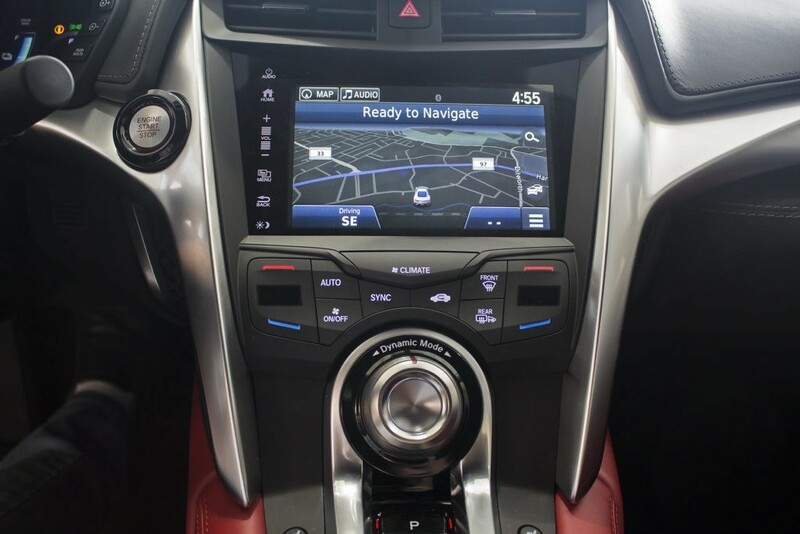 Keep in touch with us about its availability. 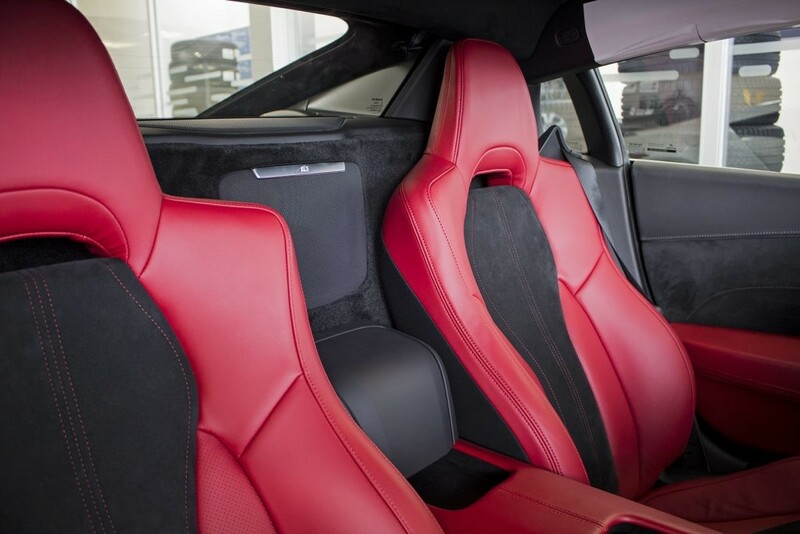 Visit us, or contact us today!